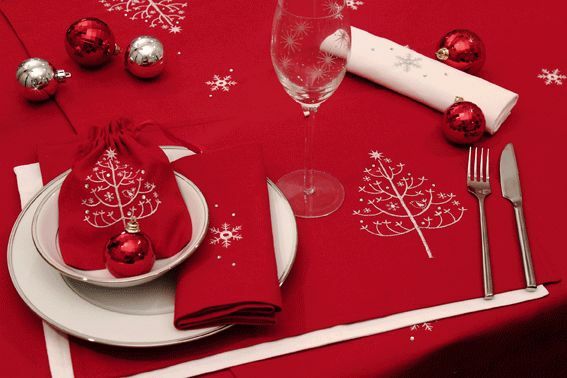 This red linen feel Christmas table topper is from the Sugar Pine range by Peggy Wilkins. 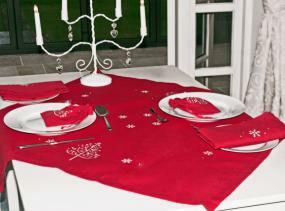 The 33 x 33 inch square tablecloth is ideal as a topper over a plain tablecloth, on a small side table or on a sideboard. 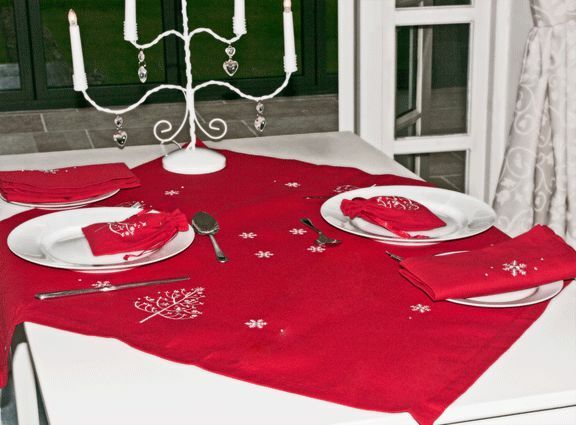 The tablecloth is machine washable at 30'C on a delicate cycle and is made from 100% polyester.